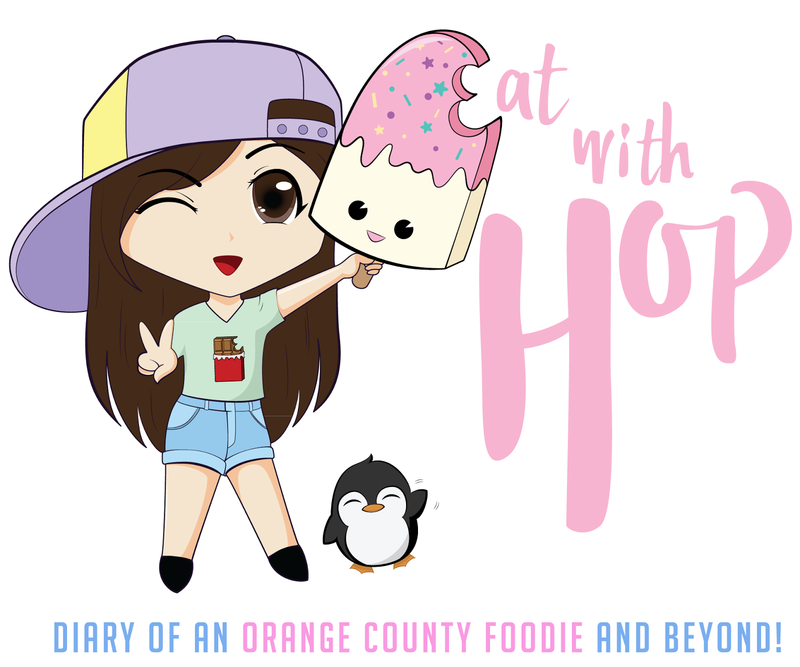 MY 626 NIGHT MARKET PHOTO DIARY @ SANTA ANITA PARK - ARCADIA - EAT WITH HOP! Yesterday was the last day for the August 626 Night Market (it'll happen again in September!) in Santa Anita Park and it was a pretty good day to come since it wasn't as crowded. I heard Joseph Vincent performed on Saturday (who's a fan?) and people were going crazy over him! Anyway, I'm kinda glad I missed all of that because the lines were so short! If there was a line, it wasn't even a long wait! Many booths had flash sales on their items since it was the last few hours selling things for half off! So, if it's like this for all the night markets then I suggest to come on the night of the very last day. My friend Lexy and I met up with Jerry at the night market and we strolled around the entire thing. There were so many various types of booths from selling original artwork, carnival game booths, accessory booths, clothing and of course the food trucks and food vendors. While on the way to night market, I had already figured out which vendors I wanted to try and was ready to check them all off my list! Aside from food, we also BECAME MINIONS! The talented artist Kris (he dances too!) at the MinionME! booth was drawing away free black and white portraits. The line stretched and stretched and got longer and longer. But, Kris persevered throughout the event, although his hand was probably in pain and cramping, to transform people into Minions! Lexi and I became Rilakkuma and Kolilakuma minions a.k.a. RilaLexi and KolilaHoppie! Our portrait was the 3426th one he had drawn...WOWZERS! That's some dedication right there. Make sure you guys visit their etsy shop to buy some goodies! there are soooooo many vendors! it tasted surprisingly really good. The okonomi sauce was what made it taste good in my opinion. The sausage was fresh and juicy as well. I love the Thai Tea's flavor. It's noticeable and strong and I also love the thick shavings! y'all always gotta get this at any festival! What a unique idea! Waffle Corn Dogs ... pretty neat idea! When I saw it I was thinking that you could strategically pour the ketchup in the little squares and it'll stay as you bite into the corn dog! My friend Adrian from waaaaaaaaay back when (elementary school?!) works at that booth and we coincidentally saw each other! the idea is really unique in my opinion! About 2 hours before the event was closing, almost every booth lowered their prices and starting having flash sales like bogo free. On average, most of the food was priced at $5. Make sure you always bring cash !